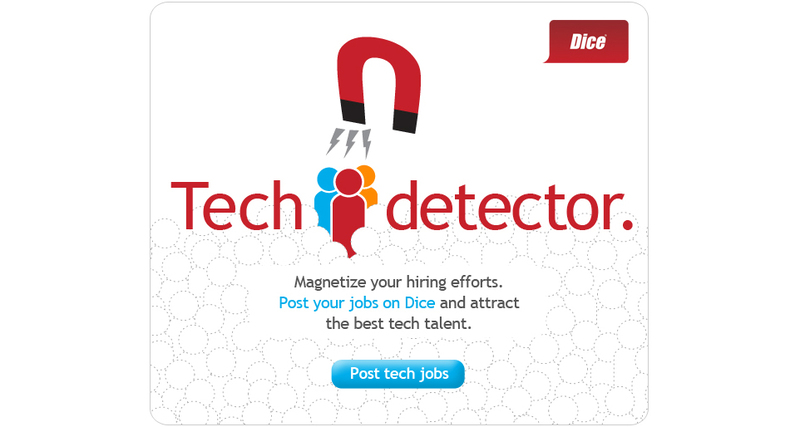 The leading career site for technology and engineering professionals.Rash Design helped Dice communicate to potential clients why dice.com is indispensable for making the smartest tech hires. Creative concepts and messaging for three email ad campaigns. All three were released simultaneously, and sent out over the course of a year. Many of the new designs were significantly high performers, with strong click/open rates. 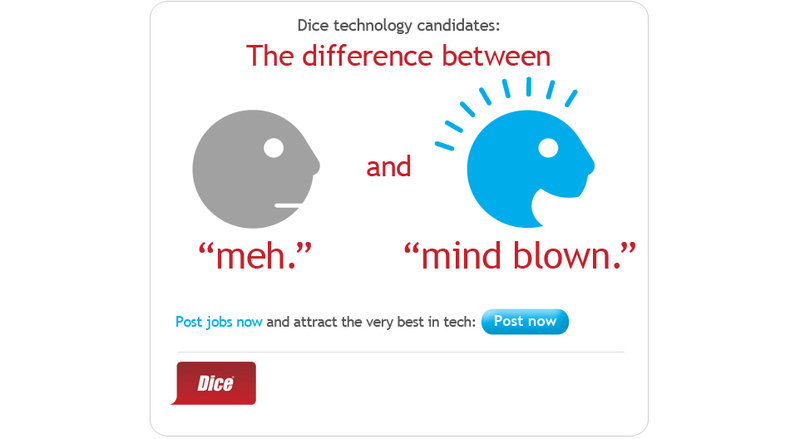 Sales tools for Dice recruiters to help explain to potential clients why dice.com is the way to go when searching for their next tech hire. Something non-digital to celebrate the holidays. 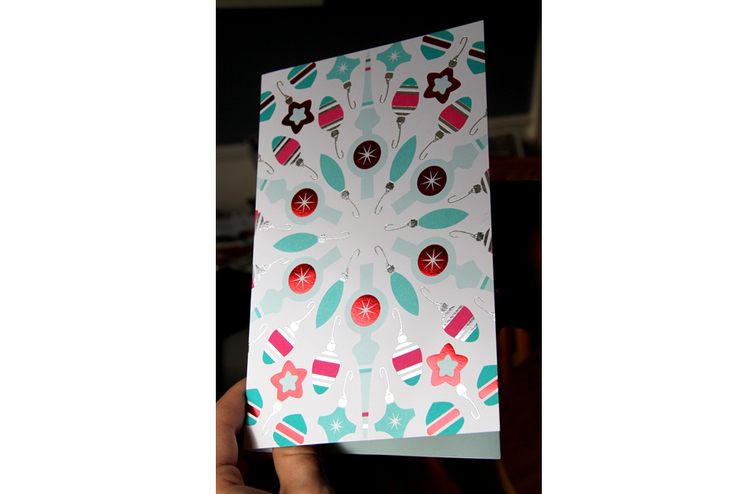 Embossed with foil stamping.